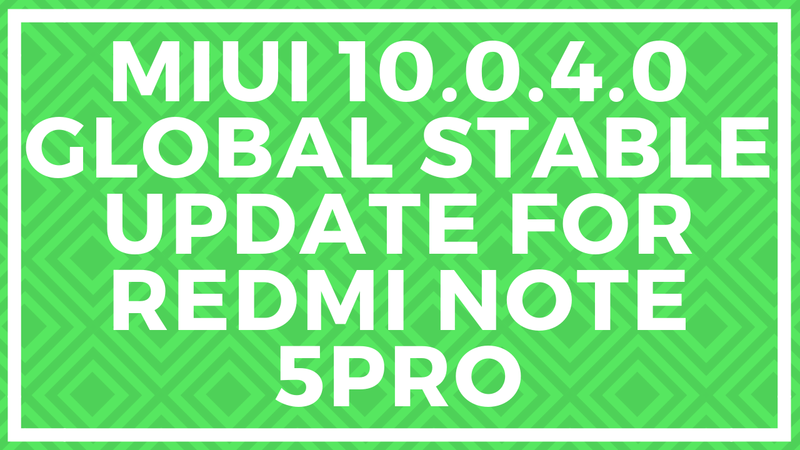 Miui 10.0.4.0 Global Stable Update Much awaited MIUI 10 for Redmi Note 5 Pro is here. 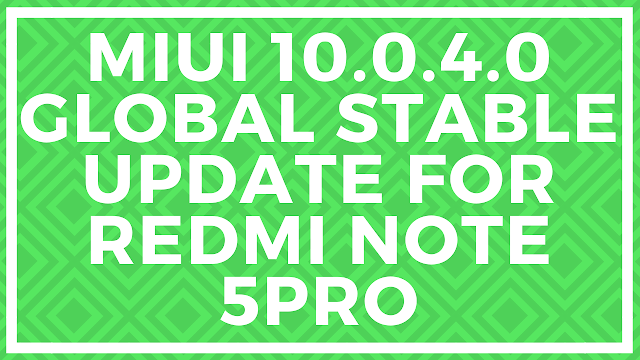 So here are we again here with new MIUI 10 Update which is rolling out for Redmi Note 5 Pro in batches. MIUI 10 Global Stable for your phone and install with the Below Steps. All-new full-screen gestures will change the way you interact with your device. They can do everything you used buttons for, except they're faster, smarter, and more convenient. All-new UI is tailored for full-screen devices and lets the content take the front stage. Installing MIUI 10 Global Stable is very easy. Download the MIUI 10 Global Stable Recovery zip file on your phone’s internal memory and remember the location of your file. Now the file manager will open on your device, from here select the MIUI 10 Global Public Stable Recovery zip file that you saved on your phone. Hit the reboot button to apply this MIUI 10 Global Public Stable update on your Xiaomi Phone. Now the phone will reboot and you will see the updating process on your phone screen.